What do Silver Snowball members say? "Thank you so very much for having the vision to start silversnowball. Your program has the potential to be THE MOST HELPFUL of ALL programs in getting people ready for the inevitable future economic collapse." "I would like to increase the number of coins per month to three (3) instead of the previous order of two per month, the need for real money is growing everyday. Thanks,"
"I believe that with the easier payment options this is going to "snowball" like crazy. And I love the changes to the website. It's getting better and better." "I received my silver today also. Thanks for the prompt service." "Hey Ed, I am very impressed. I can't believe how fast I got my coin. Many thanks." "I wanted to take this opportunity to let you know I received my 4 silver coins already! I'm delighted!" "I've followed silver for years, and believe BIG in its huge potential for some very big upside." "I am going to offer everyone that participates in my other affiliate programs the opportunity to participate in the Silver Snowball. It does not compete with anything and like you say, everyone should be buying silver anyway." "Silver Snowball is really working, so far I have received a pound and a half of pure silver." "I've just received my 3 beautiful silver coins - thanks Ed - and for your note. Could you please make it 4 (four) coins per month from now on? Thanks"
"Hi Ed, Thanks for the update. Appreciate your hard work." "Hi there Ed, Love the name by the way...Silver Snowball. Had a lot to do with my decision to sign-up." "Hi Ed, Just to let you know that I have received my coin in the post. And all I can say is WOW, received it 4 days after shipment. It's a great feeling to have "real money" in your hand, and also It's a truly beautiful coin." "I got my coins today. They look great. Looking forward to many more in the future." "Thanks, Ed. I'm so impressed with the concept and who you are on the call, with Jim and Tom. I get your authenticity and integrity." "I'm excited about being a member here. I love what you created, and the simplicity is so refreshing!! I look forward to contributing here and look forward to your insights." "Thanks Ed for making my day. I was so thrilled to receive my first silver. Blessings"
"Thanks for the Express mail. I did receive my order for Silver Snowball...It feels great to be investing in a worthwhile investment...for my family. Thanks"
"Hi Ed, I got my coin today. It is absolutely beautiful!" "I'm ordering my silver tomorrow and joining the affiliate program. I just wanted to send an email testimonial saying that this is one of a few HONEST programs out there that help people. My wife and I have been looking at investing our money into gold/silver for a long time now and this gives us a means of not only doing that, but using our existing online marketing business to leverage our efforts into Silver. Great program! Keep up the good work!" "Thanks for all your help, you really are very responsive to your customers and have a great business going." "Dear Mr. Freeman, I'm glad to inform you that, today at 3:30pm local time in Santo Domingo (4:30pm East Coast Time in the US), your mail with my three coins finally arrived to my house. They are simply...wondeful! Apparently it took nine days to complete the route. It is not that bad, considering all these holydays we had the last weeks. Thank you very much." "Ed , thank you for your diligent work. I appreciate what you do for all members. Your follow up makes a world of difference." "Many thanks for your E.Mail. Couple of questions but first to let you know, I have been on your list for maybe 5 years now and always look forward to what you send. This SilverSnowball is the greatest program around. I have been in precious metals since 2001 and have a lot of information/knowledge on the subject but the thing was I did'nt know how to monetize it without a lot of work ( newsletters etc ) until now. Brilliant !! I have been urging everyone I know constantly to protect themselves but we all know they won't till the media says its O.K. Oh Well ,we'll keep sending the message and the smart ones will jump all over this - My THANKS to you ." "I got my first coin Saturday and it felt great!! With the speed of delivery, and the excellence of the product, I'm throughly convinced Silversnowball is a great opportunity and a super value"
All the best and thank you "
"Thank - you Ed for all you do and for notifying me of Larry . (new member)...I have been busy getting my site out to all I know indeed and this program is the best one I've seen in My Life!!! It makes so much sense." "Thanks ED for all your support. You are a hard worker. I really appreciate you making this program a solid one to be involved with." "Hi Ed, Roy here, Thailand. My coin has arrived safely today the 26th Mar. I see that you posted on the 17th so your time it has taken 9 days to arrive. Thought you would like to know for future reference!!" "Hi Ed, I received today wednesday 09 april the silver coin you sent me. Thank you very much, it is really good looking. I plan to buy some more." "Thanks for the work you're doing for all of us. This is such a wonderful opportunity and everyone should be made aware of it." "Hi Ed, Wanted to let you know that I received the coin today! (5 days after shipment) Thank you! Warmest Regards"
"Hi Ed, thank you for the emails. As always, everything you provide is interesting and important. I am continuing to "quietly" promote Silver Snowball and intend to ramp it up as the years go on. So thanks again. I personally believe being part of Silver Snowball was one of my best decisions." "Dear Ed: Words cannot express how thrilled I am and thankful for discovering your web site and your Snowball program. You - are a genius for putting this program together! I am a long time silver/gold bug (we have all suffered too long), and a long time Doug Casey follower, and of course totally agree with Ted Butler on the conspiracy theory. Having said all that, I want to congratulate you again for bringing this very fair, reasonable, and exciting method of accumulating U.S Silver Eagles to the world - at least to my world! I have as I am sure, like many of your members, recently become very frustrated in trying to purchase Silver Eagles at the local coin shop due to the scarcities and the premiums we have to endure. Just trying to buy a coin a month is very time consuming, costly, and nearly impossible, so I naturally save up until I can buy a roll, but that is very inconsistent. I have been looking for a way to purchase - sorta like "dollar-cost-averaging", having been in the securities business for over 30 years, and understand the concept well. Wow! You just gave me the solution! Not to beat the subject to death, but I have many clients that I would like to see get into precious metals, but the suggested voluntary purchase of "coins" or rolls of coins literally falls on "deaf" ears and scares them because of the negatively motivated financial newsmedia, and the absolute hassel of how to accomplish the deed. Your Snowball program solves 90% of this problem due to the fact that they can begin a reasonable accumulation program from the spare bedroom/office of their own home via their computer, and the privacy and protection of receiving their investment through the guarantee of the U.S. Mail system! I honestly don't think it can get any better than this. Amazing! And - and this is HUGE - I can get a REWARD for bringing them into this world without having to charge them a fee, which I wouldn't do anyway, but had no way or incentive in the past to help them accomplish their accumulation goals. The way I see it - it's a True WIN-WIN situation. Please forgive me for the rambling, but I just wanted you to know my personal feelings and my obvious excitement and I am beginning today to develop a personal marketing strategy. In closing, thank you for your very complete and detailed description of what you are providing - this kind of response and personal service is as you know - very rare on the internet sites. This is why Snowball is destined to become very successful, and me with it. I just hope and pray the Washington vipers and self-righteous politicians do not try to roadblock your efforts to let the little person pursue his legitimate beliefs regarding our monetary future and the fate of fiat money in America. 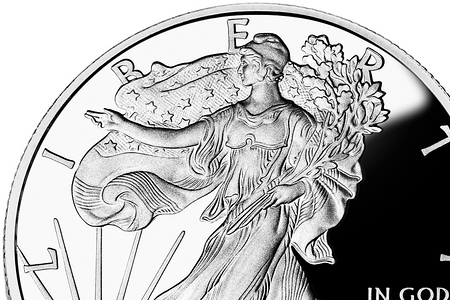 Order your first 4 Bit .999 Walking Liberty Silver Divisible right now. Or order a few and get an ounce or more of silver a month.